A hearing evaluation is a test to assess the sensitivity of a patient’s hearing. It is useful in detecting the type and extent of hearing loss and can help an audiologist determine an appropriate course of treatment. A complete hearing evaluation typically consists of several different types of hearing tests. An audiometer test is used to measure hearing sensitivity at different frequencies. Results are plotted on an audiogram. 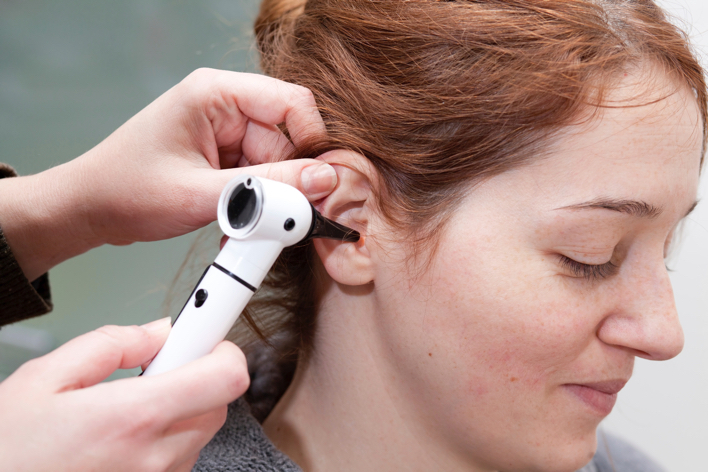 A bone conduction test relies on vibrating tuning forks placed behind each ear to determine whether the hearing loss is conductive (a result of problems in the outer or middle ear) or sensorineural (associated with damage to the inner ear). Other evaluations frequently administered include speech tests, tympanogram (to test eardrum function) and an acoustic reflex test to measure contractions of the muscle that protects the ear from loud noises. Auditory brainstem response testing is used to determine whether a specific type of hearing loss – sensorineural – is present. It is also frequently used to screen newborns for hearing problems. During the test, the patient may lie down quietly or sleep. Unlike other testing methods, the patient does not have to physically respond to stimuli. The patient is given headphones, and electrodes are placed on the scalp and earlobes. Clicking noises are sent through the headphones, and your brainwave response to the varying intensities of stimuli is recorded on a graph.